Dry shampoo can be your best friend in a hurry. You can get rid of greasy hair in a jiffy, without the need to wash it or use shampoo. If you have a spray available with you, all you need to do is quickly spray over your scalp and the roots of your hair. The dirt, grease and oil in your hair will instantly disappear. If you don’t have dry shampoo, you can also make it at home with 1/4th cup cornstarch mixed with essential oil. Put this in a saltshaker and apply it on your scalp, followed by dusting and combing for best results. Another quick trick you could try is to dry wet hair by wrapping a cotton t-shirt around it so the natural moisture stays and gives you beautiful looking, natural curls. In the end, apply some serum on your hands and run it through your hair tips. Always keep some petroleum jelly handy, especially if you’re not getting time for a salon visit. Petroleum jelly can work like magic on your hands and feet if you leave it overnight and wear thick socks over your skin. This produces an intense level of moisture, giving you smooth looking beautiful skin in the morning. Always carry a jar of petroleum jelly in your bag. You can use it to heal minor skin scrapes and burns, remove eye make up on the go, treat split ends and preserve perfume scents among other benefits. Rightly compared to a non-surgical face-lift, thermage is an internationally recognized treatment to tackle the loss of elasticity and collagen in your skin. The treatment uses patented Monopolar radiofrequency or radio waves to make you look younger by reducing wrinkles, fine lines, jowls and other signs of ageing. 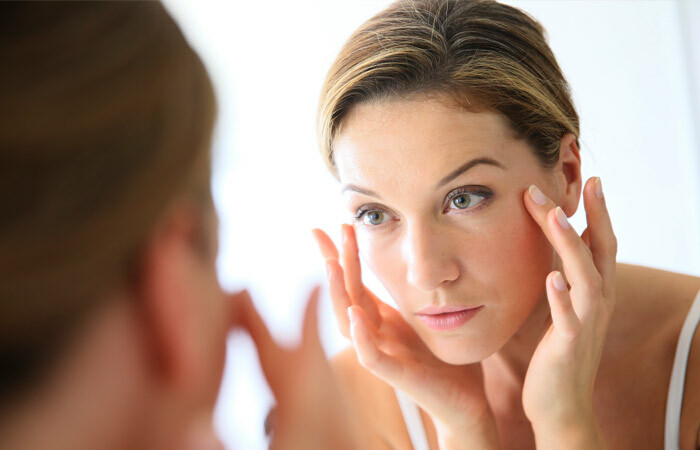 It is considered among the best skin tightening treatments for face. It will make your skin feel more lifted, contoured and give you the confidence to ace every day at work. If you’re someone who is always short of time in the morning, spending hours getting ready and perfecting your makeup look, semi-permanent makeup is ideal for you. It is an aesthetic specialty that helps correct, improve and enhance the natural features of your face. The procedure is internationally renowned and medically proven for using pigments that are extremely safe. Leading dermatology clinics such as AAYNA use state-of-the-art technique to help deliver the pigment into the dermal layer such that it looks entirely natural and saves you hours of time every day. This advanced treatment is a revolution vis-a-vis tattooing with permanent pigment. AAYNA has collaborated with a globally renowned German-Spanish micro-pigmentation brand – Golden Eye – aided with over 20 years of trusted experience. This means that all products used are in line with the strictest certification requirements in terms of safety, hygiene and quality. With these 4 beauty hacks for workingwomen, you can take care of yourself without jeopardizing your busy schedule or to-do list. Make sure to pay attention what your body wants while also giving adequate time to your career and lifestyle.